As I mentioned yesterday, I have a few out of date recipes to post. This one is from Thanksgiving. Nearly 3 months ago. But let's not look at it that way. Instead, let's consider this an early jump on next year. Nine months early. I found this recipe on The Pioneer Woman's site. I figured that of all people she would know her way around sweet potatoes. Which was important because, while I would make them a standalone food group, my husband is not really a fan. 2. 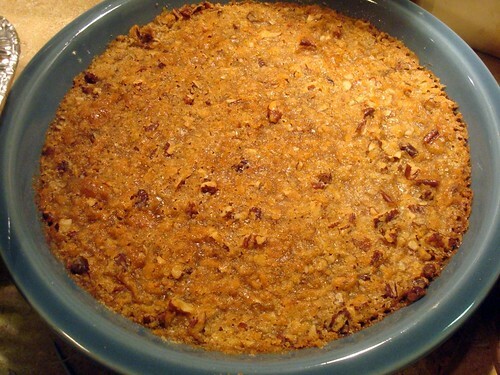 This dish was so sweet that my husband dubbed it sweet potato pie. It's not. At all. But that's okay because it's that good. You could serve it for dessert. 3. These are excellent as leftovers.